OBSERVER Photo by Justin Goetz Silver Creek’s Jaeleigh Cruz (right) looks to pass while defended by Allegany-Limestone’s Emily Giardini (22) during Friday’s game in Silver Creek. The visiting Lady Gators beat Silver Creek, 55-45. SILVER CREEK — Redemption is one of the best feelings in the world, when you earn it. 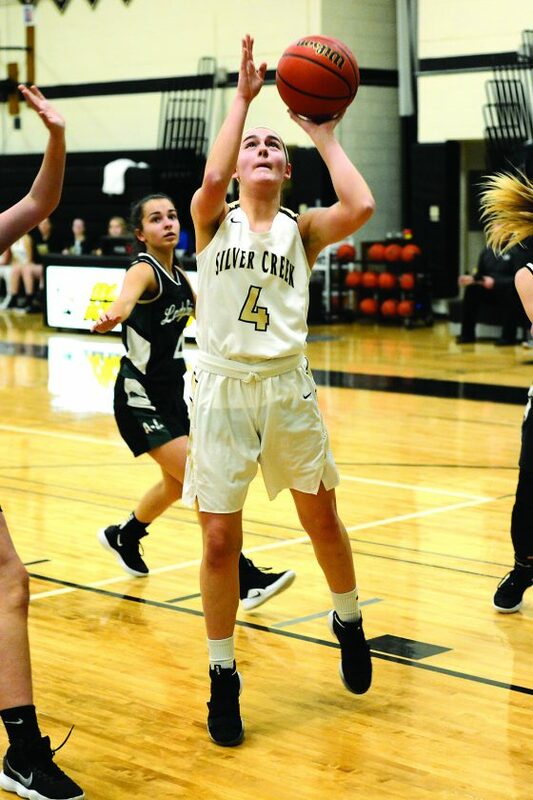 The Silver Creek girls basketball team got their chance at revenge after a loss to Allegany-Limestone earlier in the season, but key buckets down the stretch by the Lady Gators propelled the visitors past the Black Knights, 55-45 in a CCAA Division 1 East league game on Friday at Silver Creek High School. Silver Creek (11-5, 5-4) knew coming into the game that the Lady Gators’ leading scorer Tierney Hemphill was going to be a handful to deal with. Hemphill proved that early by drawing fouls and getting to the free throw line in the first quarter. While the free throw line was friendly to the Lady Gators in the first half, it wasn’t to the Black Knights. Silver Creek went 0-4 from the line in the first quarter, but were able to tie the contest at 11 after a 3-pointer from Abby Rice went in, seconds before the quarter expired. OBSERVER Photo by Justin Goetz Silver Creek’s Kiera Brennan attempts a shot during Friday’s CCAA Division 1 East girls basketball game against Allegany-Limestone in Silver Creek. That shot by Abby Rice seemingly gave the Black Knights momentum heading into the second quarter. Back and forth the two teams went as the second quarter got underway. Each team traded the lead back to one another throughout the second quarter. The difference in the second was Hemphill’s 3-point bucket in the last minute of the frame, giving the Gators a 28-25 lead at halftime. 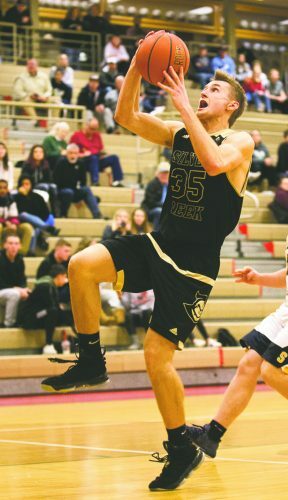 As the third quarter got underway, that’s when the game started to slowly slip away from Silver Creek. An 8-0 Allegany-Limestone run forced the Black Knights to call timeout midway through the quarter. Silver Creek trailed after the quarter by just seven points. 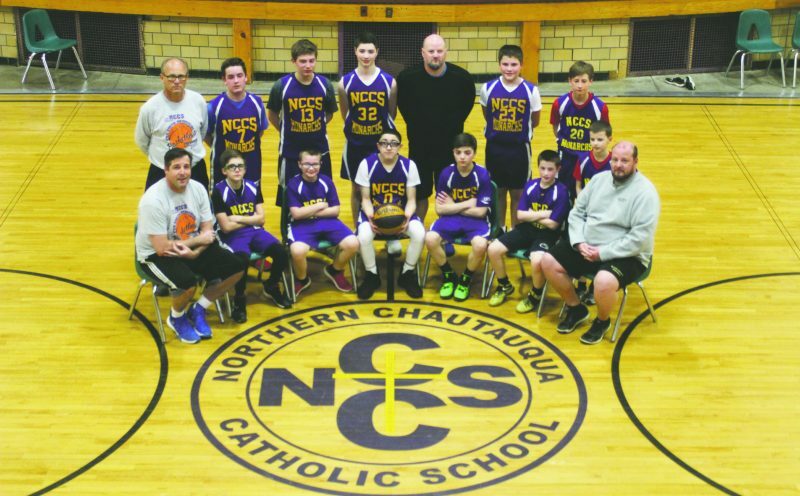 However as the fourth quarter got started, the Black Knights began to claw their way back. Abby Rice made a layup in close then drilled 3-point shot to pull her team within six points of the lead. 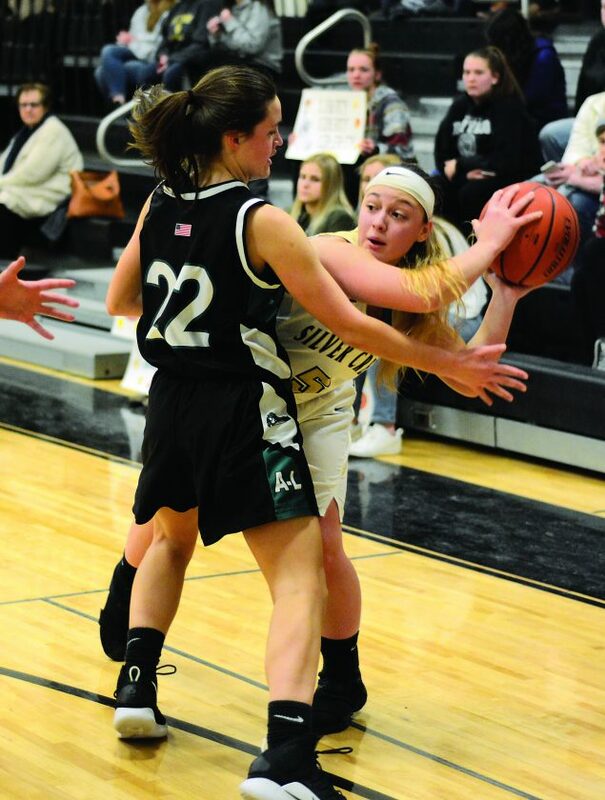 Allegany-Limestone’s Gianna DeRose drilled three 3-point baskets in the fourth quarter to put the Gators back up to a comfortable enough margin. As the game wore down, Silver Creek was running out of time to come back and they were forced to foul. Hemphill was crucial in hitting her free throws down the stretch for the Gators, going 11-14 from the line throughout the course of the game. Abby Rice finished the game with 21 points and racked up six assists to her teammates. Emma Rice was solid as well, hitting two 3-point shots while finishing with eight points. Jaylah Cossin added six points of her own. Silver Creek will be back in action when they host Salamanca on Monday with the postseason looming right around the corner.